The Dazzle Harness from Hurtta is brand new for the fall/winter season 2015/2016. 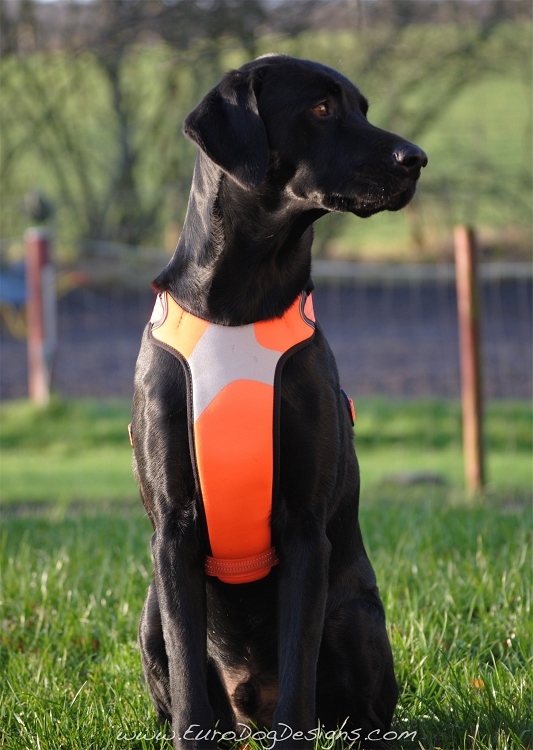 Shaped like the Active Harness it's padded for comfort and to avoid rubbing. It's very adjustable and can be adjusted both at the neck and the chest for the best possible fit. 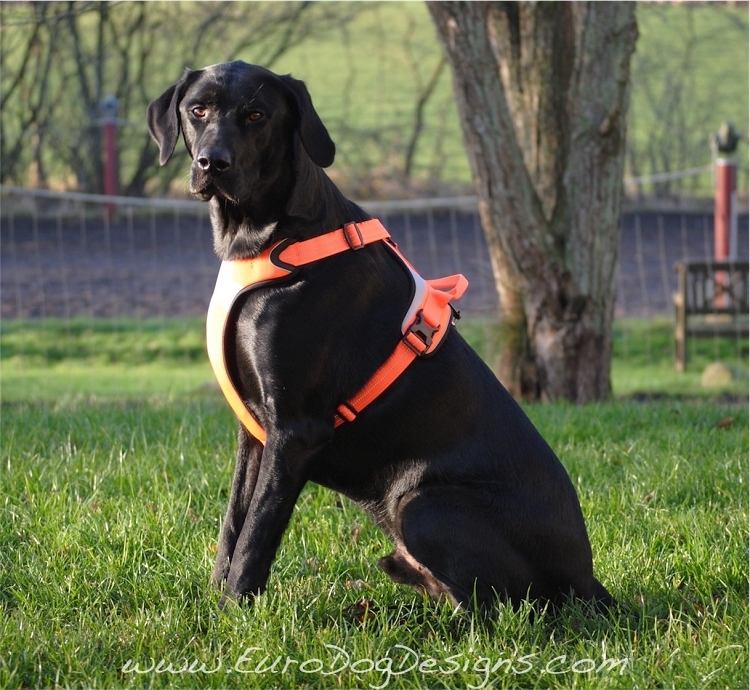 Very durable and sturdy harness that is easy to put on and take off. Due to the buckles on both sides of the harness you take put the harness on and take it off without having to touch the dogs legs/paws. Strong handle on top for close control in situations where it's needed. The materials used are more fade resistant than the other Lifeguard products. 3M reflectors for added safety and visibility in the dark. Measure your dog's chest circumference to determine what size you need. Please see size chart below. 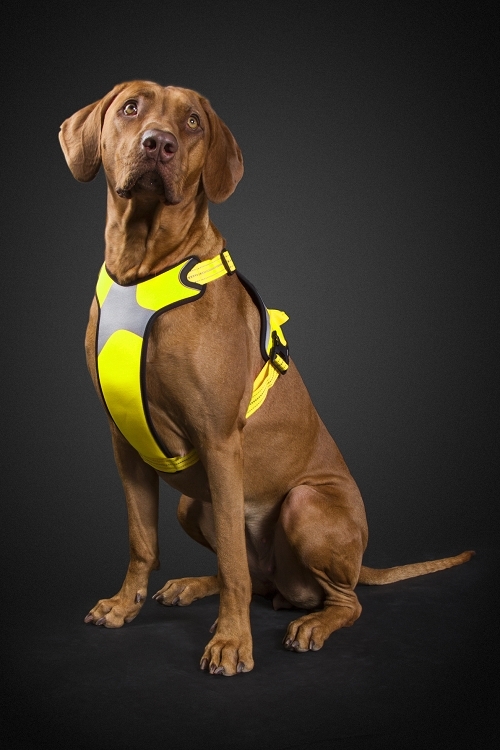 Available in two high visibility colors, Yellow and Orange, in 5 sizes. Size is based on chest circumference measured right behind the front legs. Q: Would this be a good choice for recreational bikejoring? Yes, absolutely it would be suitable. It has wide panels to distribute the pressure over a larger area when the dog pulls. Q: Would this harness be suitable to use as a car harness? 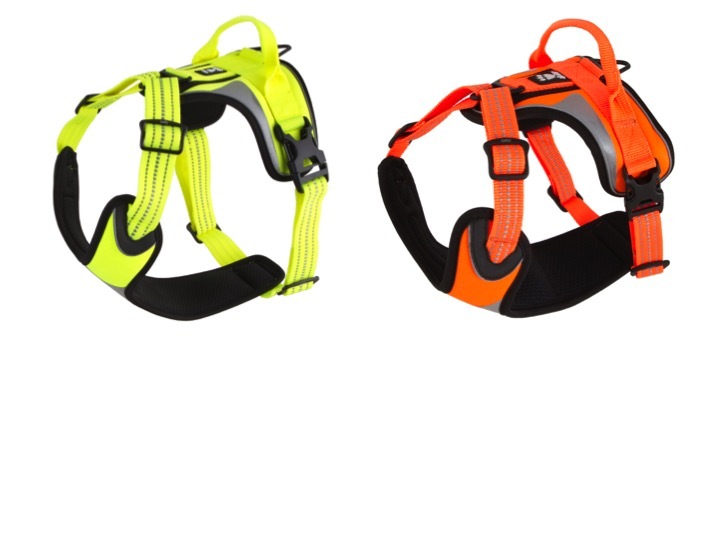 The Dazzle Harness is similar tot he Active Harness which is suitable to use as a car harness, so yes, I would think the Dazzle Harness is as well. The size is based on the dogs chest circumference measured right behind the front legs.